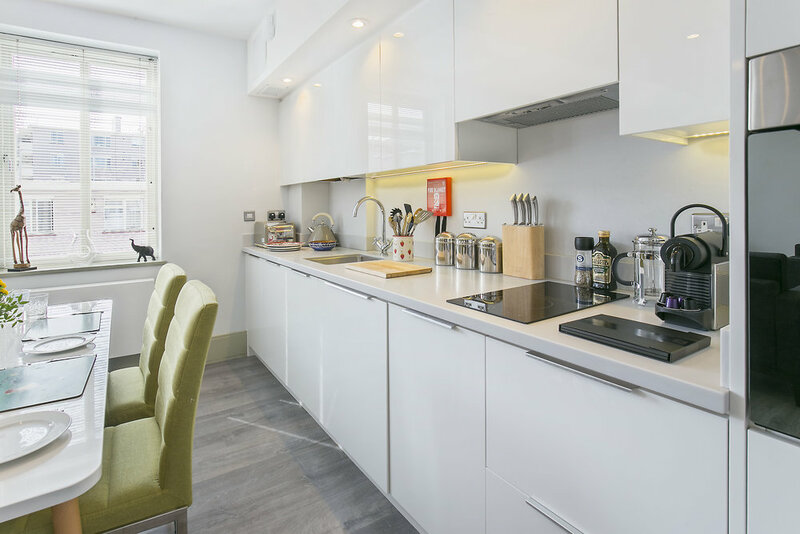 A spacious and immaculately presented two bedroom, two bathroom apartment, within a modern and secure development, benefitting from lift access and located moments from Holborn Underground Station. The apartment is located on the second floor of this modern development. From the entrance hallway double doors open into a large, open-plan reception room with both seating and dining areas. The kitchen is fully integrated and the apartment further benefits from two large double bedrooms and two bathrooms with the master en-suite.